We are a locally owned and operated company that values honesty and integrity and treats your home as if it were our own. We offer a variety of general contractor home and commercial improvement services that are customizable to each individual project. We specialize in additions and kitchen remodels as well as A/C and Heating , but also offer a wide range of expertise for a variety of other projects. We pride ourselves on the quality of our work as well as our commitment to outstanding results. We look forward to building lasting relationships and guarantee your satisfaction! Mission Statement: The RH & MS Family Business is committed to providing superior service and products which consistently exceed industry standards. We have a long tradition of trust with our costumers. 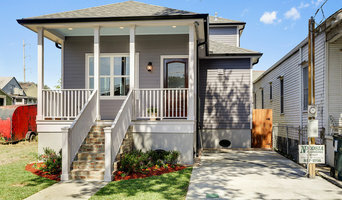 RH & MS, LLC's mission is to be the premier contractor in our our city by remaining true to our customers and providing superior service and quality of work which consistently exceed the industry standards.